Fall = apples in Michigan. Looking for something interesting to do next weekend? 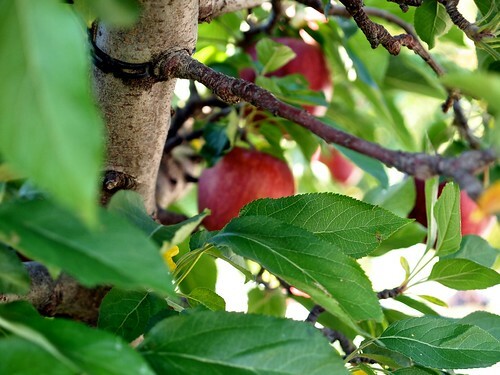 Why not head in search of some of Michigan’s apple orchards. At this time of year, many apple orchards offer u-pick apples and pumpkins, and a host of fall activities such as corn mazes, wagon rides, and entertainment. Use our Lansing area Bed and Breakfast as a home base while you explore nearby apple orchards. Enjoy a delicious breakfast at the inn before heading to the country, but leave room to enjoy treats throughout the day. Many apple orchards sell apple cider, apple fritters, apple pies, and tasty donuts. They all smell heavenly, and they can be difficult to resist. Mueller’s Orchard and Cider Mill.